With such broad potential application, it is important to spend a moment detailing the types of hearing loop systems that support these one-to-one communications. There are two types of one-to-one hearing loop solutions. One is designed for a typical counter application. The other, referred to as a speech transfer system (STS), is uniquely designed to improve communication where a glass pane, security screen, or other security barrier is present. Counter hearing loops are used to facilitate short-range, one-to-one communication. These systems consist of a microphone placed behind the counter to capture the voice of the teller, pharmacist, or employee, a small loop aerial that creates the electromagnetic field over which the audio signal will be transmitted, a hearing loop driver, and a sign that indicates the counter is fitted with a hearing loop. The system is designed to remain on continuously so a person with hearing loss never has to ask for assistance. Once the person steps inside the electromagnetic field created by the loop, he or she simply activates the telecoil in his or her hearing aid or cochlear implant to experience the clearer audio signals sent directly to his or her hearing device. The counter loop works within a defined area, allowing a hearing loop to provide a clearer signal and protect the confidentiality of the conversation. There is no risk that a conversation that takes place at a hearing loop-enabled counter will be overheard by other hearing aid wearers in the room. 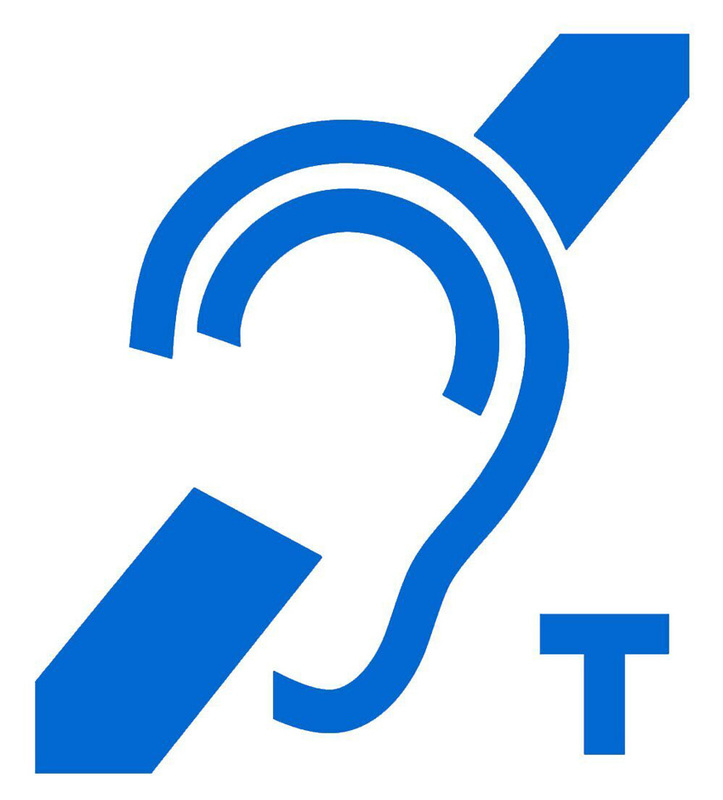 This is the international symbol that communicates a space is equipped with a hearing loop and that a person can activate the T-mode in his or her hearing device for a clearer listening experience. In the United States, there are a growing number of counter types that now separate employees and customers with a glass barrier. Transit centers, auditoriums, arenas, convention centers, convenience stores, police stations, and hospitals provide a few examples that illustrate the range of places where these security screens can be found. 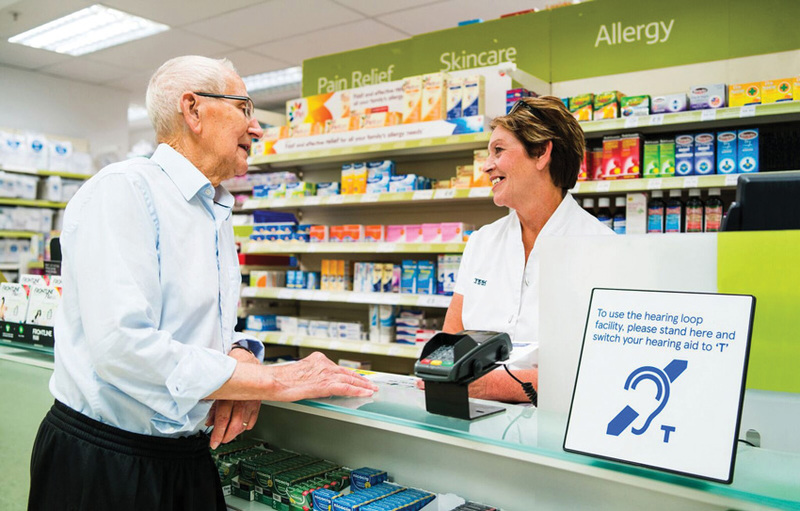 For people with typical hearing and people with hearing loss, the presence of a barrier, such as a pane of glass or a security screen, can further complicate communication and compromise a customer’s ability to understand what is being said on the other side of the partition. Speech transfer systems (STS) were designed to facilitate communication between employees and patrons in these separated counter scenarios. An STS is a two-way communication system that offers a microphone and speaker to both the staff member and the customer, amplifying the audio signals on both sides of the glass. There are several types of these systems that offer various levels of signal clarity and different performance features. While some of these systems project poor-quality audio signals that sound muffled or tinny and can be difficult for even people with typical hearing to understand, others transmit cleaner and clearer audio signals that are much easier to distinguish from one side of the barrier to the other. Unfortunately, for the people with hearing loss, the general amplification of sounds, or the amplification of sounds in an already noisy space, can do little to improve the overall intelligibility of a conversation because their hearing aids and cochlear implants also amplify all of the sounds in their immediate environment. Some of these systems have been designed to better support the needs of people with hearing loss by featuring a hearing loop. These systems mount a hearing loop aerial under the counter or to the glass and transmit the audio signal from the staff member’s microphone directly to the customer’s activated hearing device, eliminating much of the background noise and sound-quality issues often created by the amplification system. This better, clearer communication enables the person with hearing loss to more easily interact with the person on the other side of the barrier and improves the overall customer experience during the interaction. Another important feature to look for in an STS solution is open-duplex technology. Open-duplex technology allows customers and staff to speak simultaneously without clipping the speech of either party, making clear communication through the security screen or pane of glass easy. The 2010 Americans with Disabilities Act (ADA) Standards for Accessible Design (2010 ADA Standards) requires that assembly areas are hearing accessible and assistive listening systems are available. It identifies FM/RF, IR, and hearing loop systems as viable options for compliance. When FM/RF or IR assistive listening systems are used, the 2010 ADA Standards do specify the number of FM/RF or IR receivers that are required to be present in an assembly area based on the seating capacity. For example, venues with 1,001–2,000 seats are required to have a minimum of 35 receivers, plus one more per every additional 50 seats over 1,000 found in the arena. While not explicitly required by the ADA, municipalities are taking notice of the number of people living with hearing loss and the benefit that hearing loops can offer them, increasing the availability of hearing loop technology in airports, public transit areas, and assembly areas. In 2017, hearing loops were installed on the train platforms and ticket windows in the Bay Area Rapid Transit (BART). The New York Transit Authority has installed hearing loops at more than 600 New York City subway information booths and fare kiosks, and several Taxis of Tomorrow now include hearing loops inside the cabs. Hearing loops will soon be found in many other spaces around the Big Apple, as New York City recently approved legislation that now requires hearing loops in new or renovated public assembly areas. Several grassroots campaigns conducted by advocacy groups, such as the Hearing Loss Association of America (HLAA), can also be credited with the increasing presence of hearing loops in public performing arts centers, churches, and other assembly areas throughout the United States. For more information about the Get in the Hearing Loop (GITHL) programs, visit www.hearingloss.org. Hearing loops are an incredibly flexible solution for improving the hearing accessibility of a space. As previously described, these systems can be installed in large areas that serve many simultaneously and in smaller areas where one-to-one communication occurs face-to-face or through glass. They can be installed in new and retrofit projects. Wherever they are being incorporated, the performance of a hearing loop system is largely dependent on its design and skillful installation. Counter loop systems are constantly on and work within a defined area, protecting the confidentiality of a conversation that occurs within the hearing loop space. The International Electrotechnical Commission (IEC) specifies strict requirements and performance standards for hearing loop systems. The IEC performance standards ensure that the system is delivering optimal sound quality and providing a positive experience for the people with hearing loss who will be using the system. There are two unique standards that inform the design and installation of a compliant hearing loop system. The technical requirements of the hearing loop system are located in IEC 60118-4. This standard establishes appropriate measuring methods and target values to ensure that the hearing loop systems deliver the correct signal strength to the audience. IEC 62489-1 provides guidance on the methods for measuring and specifying the performance of the various system components, including amplifiers, microphones, and playback equipment. It is recommended that the design and installation of hearing loop systems be entrusted only to qualified and trained personnel who are experienced in the specific type of application where the hearing loop is being installed. These professionals are trained to install hearing loops in a way in which the performance of the system will ultimately satisfy the IEC standard. When comparing the performance of the FM/RF, IR, and hearing loop systems for large venues or counter applications, the hearing loop offers the attendees with hearing loss the most inconspicuous and user-friendly solution. Hearing loop systems also enable users to continue to hear the customized sound produced by their hearing aids instead of the loud but potentially garbled audio from public-use headphones. The convenience and overall better sound quality may explain why hearing loops regularly win the highest marks when compared with other assistive listening systems. These systems are also easier to maintain than the FM/RF and IR systems that require staff to keep track of and maintain extra parts and pieces. When designing a large assembly area or a bustling commercial space where communication occurs, consider incorporating a hearing loop into the project to make it easier for those with hearing loss to participate in the conversation, conduct their business, or enjoy the show they are attending. It’s an effort that the community with hearing loss will hear loud and clear. 1Brookshire, Bethany. “How Brains Filter the Signal from the Noise.” Scicurious. 29 April 2014. Web. 2 January 2019. 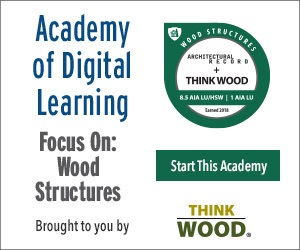 Jeanette Fitzgerald Pitts has written more than 50 continuing education articles for Architectural Record covering a wide range of products and practices. Contacta is a leading Assisted Listening System manufacturer working closely with designers/installers across North America to provide quality hearing loop, IR and FM systems in a wide range of venues and one to one environments.